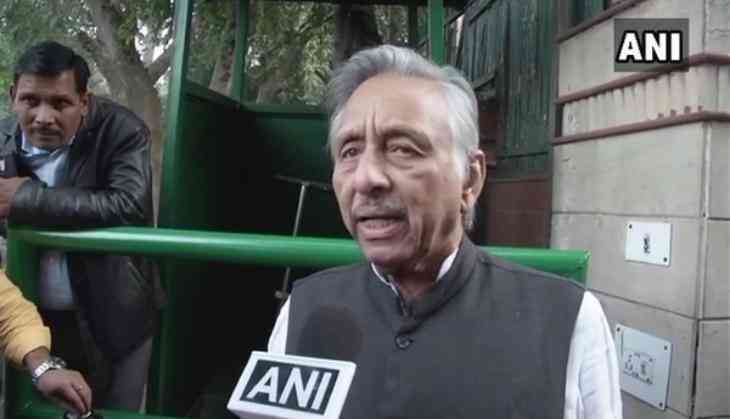 Senior Congress leader Mani Shankar Aiyar on 4 December hit back at Prime Minister Narendra Modi over his 'Aurangzeb' jibe and sought to remind him that unlike in the Mughal rule, the president election process in the Congress Party was totally 'democratic'. Speaking to ANI, Aiyar said, "Don't compare both. During the Mughal rule, it was understood that after Jehangir, Shahjahan will be the leader, but here anyone is free to contest against Rahul Gandhi. It's totally a democratic process." Earlier in the day, while addressing a rally in Gujarat's Dharampur, Prime Minister Modi dubbed Congress vice-president Rahul Gandhi's expected 'elevation' as an 'Aurangzeb Raj'. In his comparison of the Gandhi family with the Mughal rule, Prime Minister Modi had stated, "Mani Shankar Aiyar asked 'did elections happen during Mughal rule? After Jehangir, Shah Jahan came, was any election held? After Shah Jahan, it was understood Aurangzeb will be the leader.' So Congress accepts it's a family party? We don't want this Aurangzeb rule." Aiyar had reportedly referred to Aurangzeb when he was asked about rebel Congress member from Maharashtra Shehzad Poonawalla who has been alleging that the election within the party was "rigged". "In a democracy, elections are held. I openly invite Poonawala to file the nomination and contest," Aiyar had said. Rahul Gandhi, earlier in the day, filed his nomination papers for the post of party chief at the All India Congress Committee (AICC) headquarters. It is speculated that he is running unopposed for the post of party president, but the speculations can only be confirmed on Tuesday when the names of contenders are published after scrutiny.